The RTR programme is designed to identify retailers who may be at risk of selling age restricted products to children and then to offer those retailers free-of-charge professional training to help them improve. Our aim is to support these retailers in fulfilling their responsibilities so they avoid the need for enforcement action and ultimately to reduce children’s access to age restricted products. 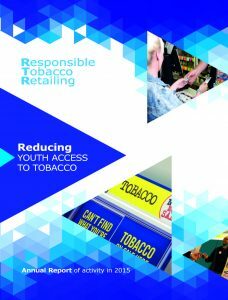 The programme was created by three of the UK’s largest tobacco manufacturers: JTI, Imperial Tobacco and Philip Morris (the former two are members of the TMA). The results of the first year of the programme can be read in the 2015 Annual report here.